The effects of World War I gave rise to the Russian Revolution of 1917. By the end of 1916, two years of total war had placed enormous strain on all combatant nations. None felt this more severely than Russia, which had entered the war confident but in a precarious political, economic and social state. The Russian economy made great industrial advances in the two decades prior to 1914, but it was still under-developed and ill-equipped to supply a prolonged war. Russia’s government was still dominated by the tsarist autocracy, which claimed political authority that was divine rather than popular. The Russian people were already fractious, dissatisfied and eager for change. In 1905 their demands had taken the empire to the brink of revolution before tensions were eased with promises of reform – promises that were never truly fulfilled. The Russian empire rested on what historian Orlando Figes called ‘unstable pillars’, and they were unable to sustain its involvement in one of the most intense wars in history. At the epicentre of this turmoil was Nicholas II, tsar of all the Russias. Most historians agree that Nicholas was not equipped for governing Russia through difficult times. He was the son of an over-bearing autocrat and the grandson of a reformer, but was himself incapable of being either. Nicholas was determined to cling to autocratic power but he was blind to the problems this created and the threats it posed to his throne. The tsar professed to love the Russian people, yet he turned the other way when hungry workers were shot in January 1905, and when striking miners were machine-gunned in Siberia in 1912. Nicholas instead blamed Russia’s troubles on others: on foreign liberal ideas, on anarchists, on trouble-makers in the universities and on Jews (like many Russian conservatives he was an embittered anti-Semite). The tsar drew his advice and counsel from an inner circle of ministers, military officers, aristocrats and bishops – but too often they told Nicholas whatever he wished to hear, rather than what he should. 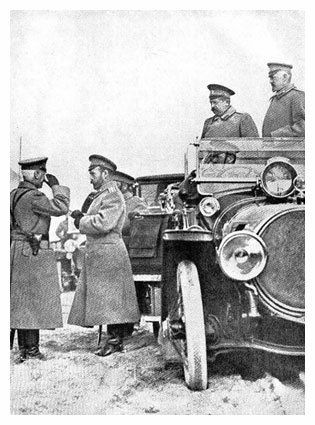 The rapid descent into war in 1914 had caught the tsar unaware. 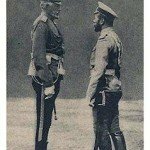 Nicholas knew the German Kaiser well enough to know he was ambitious and prone to rash decisions; but he did not think Wilhelm so treacherous that he would declare war on the empire of his own cousin. 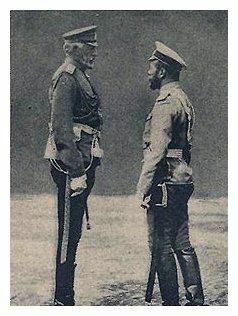 Nicholas made the first of several blunders in July 1914 when he appointed his cousin, Grand Duke Nicholas Nikolaevich, as commander-in-chief of the army. Nikolaevich had military training as a cavalry officer but had never commanded an army in battle; he now found himself in charge of one of the largest armies in history. 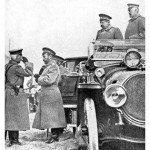 In August 1914 the tsar and Nikolaevich – aware that most German forces would be occupied with the Schlieffen Plan in the west – planned an invasion of East Prussia. It was a bold campaign that might have succeeded if not for poor planning and leadership. The two Russian field commanders, Alexander Samsonov and Pavel von Rennenkampf, were competent officers but were both over-confident and vainglorious. They were also bitter rivals who could barely stand the sight of one another. Their squabbling and inept decision-making contributed to a disastrous defeat at the Battle of Tannenberg in late August 1914. Unable to face reporting the loss of 150,000 troops to the tsar, Samsonov took his own life. This culture of unaccountability and military incompetence was ingrained in much of the Russian military. After a year of fighting and several costly defeats, the exasperated Nicholas II decided to personally take command of the army. In September 1915, against the advice of his ministers, he dismissed Nikolaevich and proceeded to the frontline. The decision proved telling for two reasons. Nicholas’ distance from the Eastern Front in 1914 and early 1915 had buffered him from much criticism; his generals had instead footed the blame for military disasters. Now, the tsar would be responsible for every defeat, shattering the divine infallibility that many superstitious Russians believed he had. Secondly, before his departure, Nicholas left the reins of domestic government with his wife, rather than a prime minister. Tsarina Alexandra was utterly devoted to her husband but was even more politically naive than he. Worse still, she was of German birth and had been given de facto political power a year into a bitter war with Germany. Worsening matters was another sinister figure who was lingering on the periphery in 1916. Grigori Rasputin was a Siberian itinerant who had trekked his way to Saint Petersburg several years before. Once in the capitol, he began to attract attention as an occultist, a fortune-teller and a faith-healer. 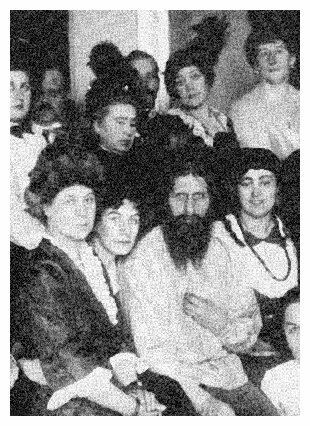 Despite his appalling manners and personal hygiene, the mysterious Rasputin found his way into the parlours – and in many cases, the bedrooms – of Saint Petersburg’s aristocratic and bourgeois ladies. He eventually received an invitation to the Winter Palace, where the deeply religious tsarina sought divine assistance for her young son Alexei, who was cursed with the genetic blood disorder haemophilia. Rasputin’s ministrations comforted the boy – and his mother – so the Siberian mystic became a regular in the royal court. He prayed with the Romanovs and treated Alexei during the day, then at night crawled the seedier parts of the city, boozing and cavorting with gipsy prostitutes. Rasputin came to exert some political sway over Alexandra, passing on ‘divine advice’ about ministerial appointments, domestic policy, even military matters. Though his influence has probably been overstated, Rasputin’s baleful presence revealed the anachronistic and corruptible nature of tsarism. In December 1916 a group of aristocrats attempted to ‘save’ the monarchy from Rasputin by murdering him. They succeeded in disposing of him but it proved too little, too late. By February 1917 the situation in Russia’s cities had become critical. Shortages of food and fuel were dire: the capital city, since re-named Petrograd, needed sixty railway cars of food a day but often received barely a third of this amount. Inflation had been so severe through 1916 that the rouble had just a quarter of its pre-war buying power. In February, when a women’s day march through Petrograd merged with angry bread queues, the unrest spilt over into revolution. Soldiers ordered to fire on the crowd refused and shot their officers instead. The tsarina’s response was dismissive, writing off the unrest as a “hooligan movement”. Things eventually became so dire that the tsar decided to return from the front – but he was halted along the way by striking railway workers. While waiting on train sidings in Pskov, Nicholas II was met by his generals and members of the Duma (the national parliament). All but one demanded he sign an instrument of abdication, which Nicholas eventually did. More than 300 years of Romanov rule were brought to an end with the swish of a pen in a stranded railway cart. In different times, the departure of tsarism might have paved the way for a brighter future for Russia. The Provisional Government that replaced the tsarist regime did introduce some liberal reforms, like freedoms of assembly and the press, and amnesties for political prisoners. But facing international pressure, it refused to end Russian involvement in the war. The defeats, military follies, casualty lists and food shortages continued, and after six months the Provisional Government’s popularity had slumped. In October 1917 a new political force, the socialist Bolshevik Party, emerged to seize control of the nation. 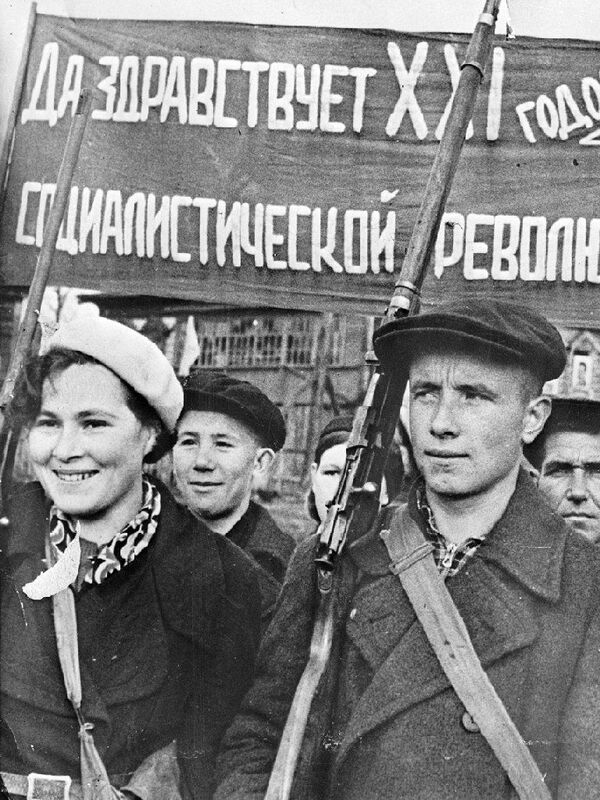 Led by Vladimir Ulyanov, or Lenin, the Bolsheviks promised ‘peace, bread and land’ – promises that resonated with Russian workers, soldiers and sailors. Once in power, the Bolsheviks commenced peace negotiations with Germany and, in March 1918, they signed the Treaty of Brest-Litovsk, formally ending Russia’s involvement in the war. It would prove a costly peace: Russia had to surrender large amounts of territory, people and fertile farmland. World War I had killed off one of Europe’s oldest monarchies and gave birth to a new political phenomenon: socialist dictatorship – which later came to deliver its own share of death, deprivation and human suffering. 1. At the start of the war, Russia was a vast empire with a large army – but was politically and industrially backward. 2. Its leader, Tsar Nicholas II, adhered to principles of autocracy but was not competent to govern autocratically. 3. Russia’s disastrous 1914 campaigns saw Nicholas take personal command of the army, a politically dangerous step. 4. 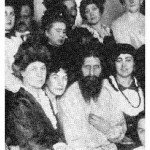 The tsar and his wife were also discredited by their involvement with the meddling faith healer Grigori Rasputin. 5. By the start of 1917, Russia’s domestic economy had collapsed and both food and fuel were critically scarce in Russian cities. This triggered the February Revolution, an uprising that led to the abdication of the tsar and, by the end of 1917, the rise of a socialist government in Russia. 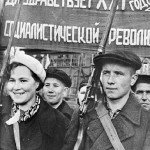 J. Llewellyn et al, “Russian Revolution” at Alpha History, https://alphahistory.com/worldwar1/russian-revolution/, 2014, accessed [date of last access].